At Skyepharma we are proud to announce the creation of a new Customer Service department. This decision was made, driven by the desire to ensure the best customer experience for our partners and potential customers. Nowadays customers expect their CDMOs to understand their needs, anticipate and offer tailored solutions to ensure on-time and trouble-free delivery of their products. That is what we are committed to at Skyepharma. Our new customer service department will allow us to better understand our partner’s needs by having a robust information management system in place which will allow us to deal with requests and queries, in a more efficient and customer focused way. This new department will be focused on efficient communication reinforcing Skyepharma’s commitment to its customers. The new department and service will be part of the Supply Chain function and in direct contact with the planning department. Cross functional working is key for this initiative to succeed. Employees will have to work together with the same ultimate objective: Create strong relationships and ensure the highest standard of customer satisfaction. The cross functional team has representatives from: Business Development, Project Management, Marketing, Production, Planning, Quality Assurance and Quality Control laboratory. Speaking about this new service department, Sébastien Perraud Customer Service Manager says, “Communicating our customers’ requests to the right people at the right time delivers the best results and ensures there is a total company effort putting the customer first”. Our customers now have a service that is entirely dedicated to them. All requests will be processed more quickly as the internal flow of information will be more fluid and accurate allowing us to respond systematically and appropriately. We are committed to increase operational excellence on the ground, reducing the number of errors in batch records and remaining committed to delivery times. OTD: 2017 = 100% and 2018 = 98% of commercial batches delivered on time. RFT: 2017 = 83% and 2018 = 90% of batches produced without errors the first time. Reducing lead time for our partners is a commitment that is very important to us. We are currently studying the lead times of each of our services in order to optimize them as much as possible. This will have a direct impact on the global lead time and our performance. Active listening and constructive exchanges between our clients and customer service will help us understand their needs and priorities better. This knowledge will allow us to anticipate requests and allow us to propose alternatives, if they are needed, and in line with expectations. A good customer experience is key to the successful running of projects. Customer satisfaction is a number one priority. That’s why we encourage our partners to give us feedback to help us constantly improve. To this end, we are committed to regularly contacting customers and partners to gather opinions and feedback. A relationship is created and nurtured over time. We are committed to creating a climate of trust, exchange and transparency with our partners. This is how we operate internally in our own teams. We want to replicate the same dynamic with our customers. 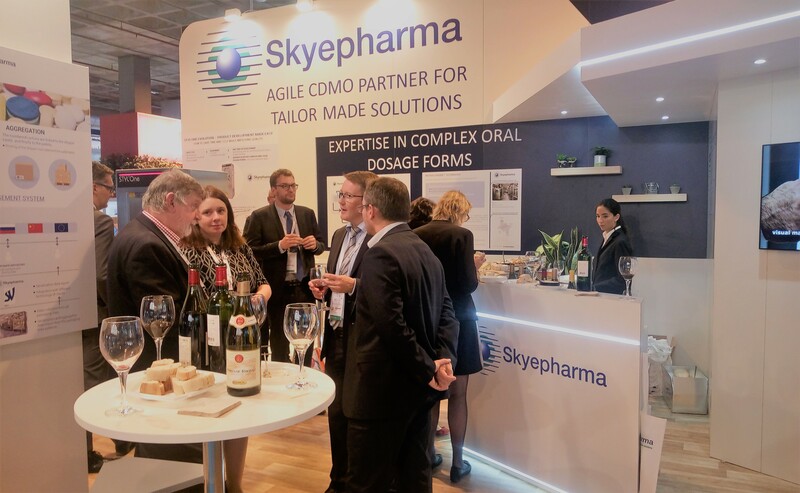 We are a single team, the customer and Skyepharma, we work together to deliver a win-win approach, where everyone benefits.